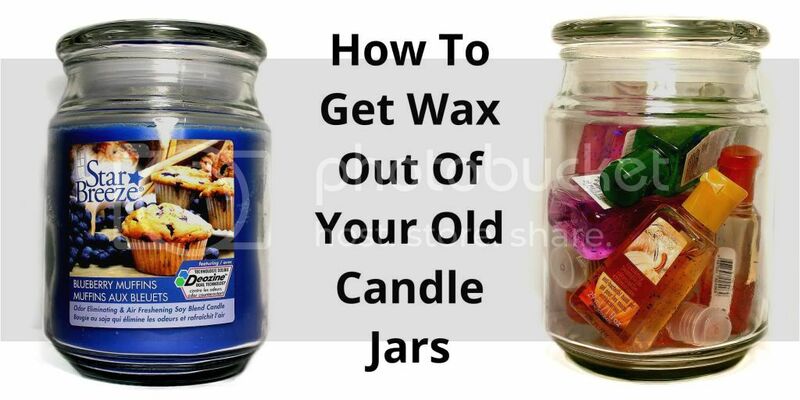 Ever wondered how to get the rest of the wax out of a candle jar? Follow this picture tutorial, and marvel in the fact that I handled hot wax and boiling water while also taking these very pictures *wink*. 1. Peel all stickers off of the candle, and although I didn't, now would be a good time to remove your lid. 2. Fill an old pot with water, leaving enough room for the weight of your candle. 3. Place candle in the pot. 4. Turn your stove up to maximum (10), and keep an eye on it while it boils. 5. When the wax has melted significantly, you can reduce your heat to medium (5). 6. Using a skewer or plastic fork, stab the hard wax in the center and see if you can lift it out of the jar (my jar was cinched at the top, so I had to wait until it melted enough to fit through the opening). 7. Lift the wax out of the jar and dispose in the garbage (double bagged, the wax is very hot). Turn stove off. 8. 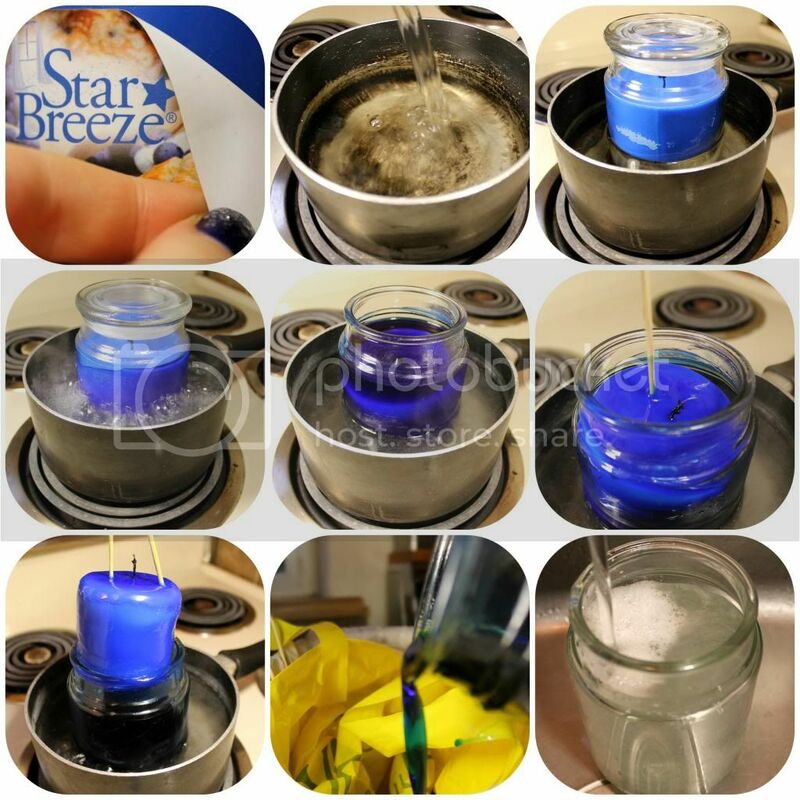 Remove jar from hot water, and pour remaining wax into the garbage. Be very careful as the jar is extremely hot. 9. Lastly, clean out your jar with soap and hot water. I dumped the hot water from the pot straight into the jar and cleaned with that. Afterwards, you will be left with a clean storage jar! Let me know in the comments if you liked this instructional 'grid' photo tutorial, and don't forget to post a photo to my Facebook page if you try this tutorial out.